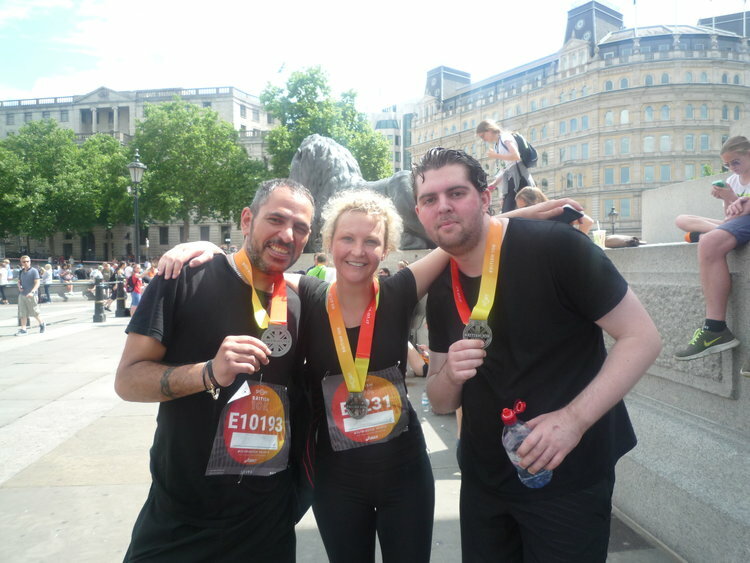 Our thanks go to Steve, Arlene, Baykal, Heather and Callum who ran the British 10K London for SCC on Sunday 9th July and managed to raise over £2,000 which will be split between our three projects in Cambodia. These funds will make a huge difference to the lives of many Cambodian children. Well done and thanks to all of you from the children in Cambodia! Juliana Jennings sadly passed away in December 2016, aged 85. She was a kind and generous woman who always thought about others less fortunate than herself. She was full of compassion and kindness and was a committed supporter of SCC, giving generously to the vulnerable children. We would like to express our deepest sympathy to her family and friends, she'll be sadly missed. SCC would like to send heartfelt thanks to Juliana, on behalf of all those children she helped in Cambodia. Donations to SCC have been made in memory of Juliana. Thank you to all those who contributed, £283 was raised. On 4th December 2016 Jack ran the Angkor half marathon to support schools in Cambodia. The race took place in the World Heritage site, the start and finish are in front of Angkor Wat temple, Siem Reap, Cambodia. Over two and a half days in September 2016 the four Trustees at SCC walked the River Mersey from Liverpool to Stockport to raise funds for the projects we support in Cambodia. Read more. Steve and Raphael who gave it their all and managed to raise over £3,200 which will be split between our three projects in Cambodia. These funds will make a huge difference to the lives of many Cambodian children. Well done and thanks to all of you from the children in Cambodia! Bottesford and Calverton car boots in April and June 2016. Thank you to all those who donated or purchased items. Congratulations to Bunhor on graduating with a Master's degree in Business Administration. Laura Fowler and her family visited Anlung Pi School in November 2015. Here's her report. Thank you to Cherry Ng and all those who donated to her page in joining us in the battle to free Cambodian children from impoverishment. Five committed volunteers ran the British 10K London for SCC on Sunday 12th July 2015. A huge thank-you goes to Alistair; Callum; Dave; Iain and Tricia who gave it their all and raised over £2000 which will be split between our three projects in Cambodia. These funds will be gratefully received and will make a huge difference to the lives of many Cambodian children. Well done and thanks to all of you from the children in Cambodia! 'I contacted VDCA to work as a volunteer for a month in January 2015. Gill Herd writes a paper examining the demise of the relationship between SMF, Somaly Mam and AFESIP - "A Question of Responsibility"